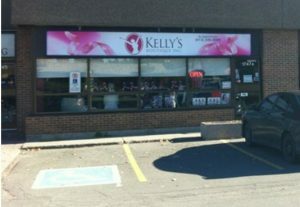 Kelly’s Mastectomy Boutique now located on St Laurent Blvd. opened in June 2003 with just a few hundred square feet of space in the Southvale Medical Plaza, has grown to well over 2000 square feet with an extensive line of products geared specifically for women having undergone breast surgery. At your appointment, a certified fitter will work with you to determine the best possible fit for your prosthesis and foundation garments in private fitting rooms. Clients with lymphedema issues can be fitted for compression sleeves, gloves and other garments whether custom or ready-made. You will find a huge collection and variety of swimwear including polyester swimsuits ideal for those who do aqua fit. This is a letter I received from a client and with her permission I wanted to share. We get a great number of cards and letters and we very sincerely appreciate and love getting every single one, but once in a while, a client words her experience in such a special way that it is nice to have others feel her experience. After a double mastectomy and four months of healing, I had had enough of having a concave chest. Not only that, it made my belly stick out. Yuck! To add to that, it was now spring and I couldn’t hide inside a jacket anymore. I was more than ready for the next milestone in my journey, that of being fitted for my prosthesis. Much to my surprise, I reached the light at the end of the tunnel on day one of wearing my prosthesis! I did not feel like a victim of cancer anymore! That day, I did more than turn a page, I picked up a whole new book. Even though there are still remnants of chemo, scars from surgery, memories of radiation, and hair to grow back, my artificial chest is in the forefront and cancer is behind me. Little did you know, you and your team made me feminine again and, that day, my life started back where it left off a year ago. Little did I know that when Kelly was diagnosed how much she would impact my life. 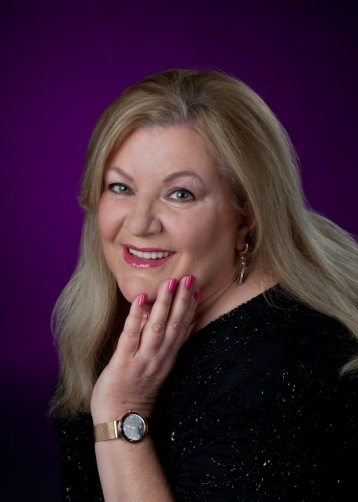 Over the years, I have realized that my clients not only allow me to provide them with a service, they, in being who they are have made me into a better person. Our lives are impacted by certain people and events throughout our lives and I truly believe that Kelly and my dad (who was also lost to us by cancer) are continually bringing special people into my life. This becomes more transparent every day for me, so thank you to the beautiful, strong, spiritual women I see and meet on a daily basis.